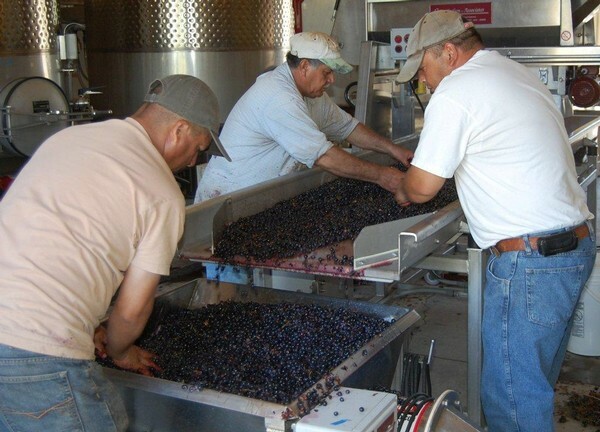 Our farming and wine-making techniques are rooted in quality and attention to detail. The combination of volcanic ash and gravelly loam create a sparse, well-drained soil that allows for us to produce a crop of superior, concentrated fruit in smaller quantities. Additionally, the unique micro-climate of Howell Mountain creates a more stable growing season compared to that of the valley floor. At harvest, we hand-pick our grapes into five pound trays in order to maintain the integrity of each berry prior to crushing. We then allow these small lots to ferment separately throughout the duration of the aging process. This separation helps capture and preserve the individual flavors of each vineyard. About three or four months prior to bottling, we begin the blending process. Our premium barrel aging program allows the oak to become a key component of our wine, giving gentle structure and spice, while allowing the fruit to shine through and create a wine that is age-worthy, but enjoyable upon release. Gentle farming, careful harvesting and balanced blending all combine to create consistently well-made wines that are true expressions of our unique appellation.